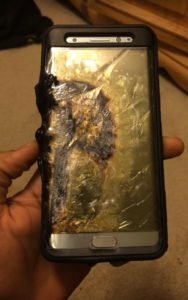 Here is the story behind the recently exploding Samsung Galaxy Note 7. Samsung is a Korean company which manufactures and exports electronics to all corners of the globe. After Apple, it is Second largest IT company in terms of revenue. 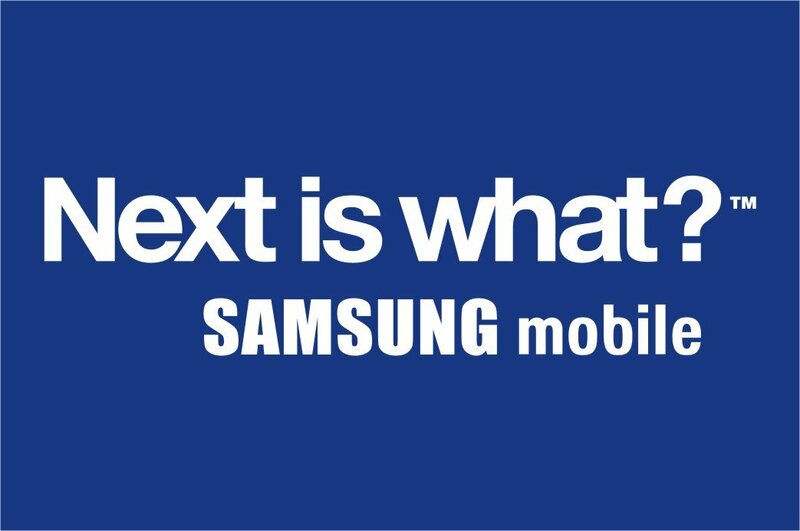 Samsung launched its Samsung Galaxy line of smartphones when everybody started substituting their usual phones with smartphones manufactured by Samsung. 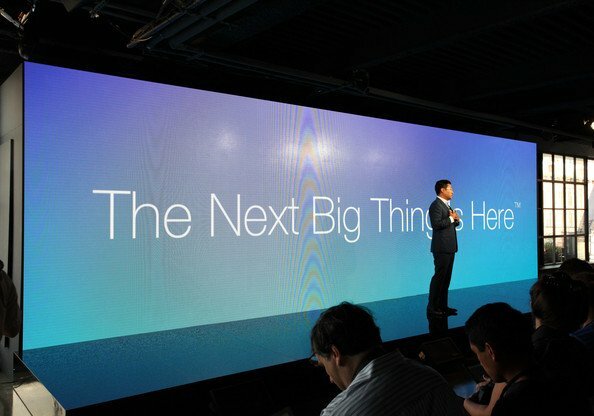 In 2011 Samsung successfully replaced Apple Inc. as the largest technology company in the world. It is being rightly said that it is Samsung which will not let Apple operating system to overpower android operating system. All Samsung phones have Android operating system. Android operating system is one of the simplest systems to operate, that is how Samsung adopted Android OS and gained a majority share of the market in the world. After 2011 Samsung has enjoyed the privilege of earning a large customer base, but 2016 does not seem to be like rest. 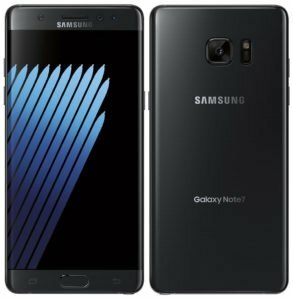 The Samsung Galaxy line launched its latest Galaxy Note 7 in the market in 2016, which again has the Android OS but with enhanced features. Samsung Electronics launched Galaxy Note 7 in august this year and had a long waiting list for its customers. When Galaxy Note 7 was launched it was impulsively bought by its happy users as it provided groundbreaking new features. But just after its launch, the company received news of its latest smartphone exploding in the same month. To detect the issue, Korean company delegated hundreds of employees to back test the device as swiftly as possible. All the engineers working for Samsung were on a solid time limit to detect the problem. As per their investigation, they concluded that it was due to defective batteries that the phones spontaneously exploded. One of the suppliers of the company was caught to supply defective or faulty batteries to the company. After that company recalled the worldwide supply of Note 7 and replaced them with batteries supplied by a different supplier of the company. This solution to the cause could not make much difference to the smartphone. There were still complaints from customers of Note 7 catching fire or exploding even after delivering replacement device. This forced the company engineers back to their drawing boards and identify the cause behind the exploding phones as they were bound by the conditions of the company they were not allowed to talk about its internal working. There were so many testers trying hard to get through the cause or pinpoint the problem with the device but as they feared departments could not communicate well with each other and discuss the problem. The company asked employees not to communicate about this issue via emails and carry all the procedure offline. Samsung has still not disclosed the cause of the explosion of Galaxy Note 7 or even if they are sure about the what the problem device is facing. The company is in really bad shape because of this and its goodwill and finances are facing huge pressure. This also makes customer question the other products manufactured by Samsung company. This problem might escalate and affect the revenues earned from their other products like washing machines and kitchen appliances. 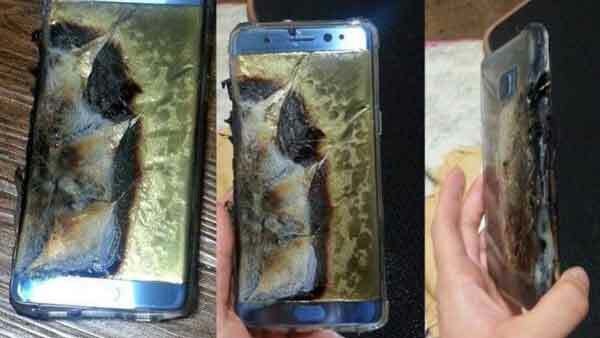 The Consumer Product Safety Commission of U.S. stated that there at least 92 reports of Galaxy Note 7 batteries facing heating problem along with that there are around 26 reports of burns and 55 reports facing property damage. That is how the company is now trying their best to replace Note 7s. In an interview with the chairman of safety commission, he stated that, firstly, the company is already working on its first recall and now they have to deal with the second recall of Note 7s, this whole process requires coordination with the government for proper execution. An official from Samsung Company said that for the safety of the consumers of the smartphone, they have stopped exchange and further sales of Galaxy Note 7 and they have also decided to stop the production of the latest released Note 7. This major move of the company to completely stop of note 7 was comparable to Tylenol’s 1980s recall, which is now a hot case study to business schools. It is not yet clear as to how a giant electronic company like Samsung will handle this and come out of this. This has deeply affected company’s finance and going through a large financial blow. Prior to the announcement made by the company to cease or stop the production of the Galaxy Note 7 its shares fell more than 8%. This was one of the biggest drop company faced after 2008 Global recession. The market value of the company dropped by 17 billion USD. This smartphone chain of Samsung, revenue contributed for computer chip and panel screen for other appliances of the company. More than its falling share price and revenue, the company was daunting about their good build corporate image in the eyes of customers. An editor of South Korea’s newspaper mentioned that it is not possible to calculate the loss of consumers in terms of money. As everyone knows it didn’t take time for Nokia to fall down rapidly from its world’s top cell phone maker position. It can be said that company somehow managed to take quick decision and saved itself from taking further loss. They saved the brand from losing its goodwill among customers or the company would have gone through a complete meltdown. Many Industry experts state that it might be Samsung’s rush to compete against the latest release of Apple’s iPhone 7 that lead to this technical failure, but the company has been tight-lipped regarding this issue.